Natural Visual Behavior in Patients with Peripheral Visual Field Loss. Visual acuity, contrast sensitivity, color vision: Thoughts on psychophysical exams in neuro-ophthalmology. 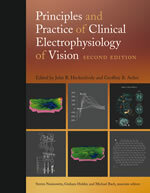 Reaching beyond the retina with clinical electrophysiology. Altered organization of the visual cortex in FHONDA syndrome. Calculation and plotting of retinal nerve fiber paths based on Jansonius et al. 2009/2012 with an R program. Retinal conduction speed analysis reveals different origins of the P50 and N95 components of the (multifocal) pattern electroretinogram. Heterogenous migraine aura symptoms correlate with visual cortex fMRI responses. VEP-based acuity assessment in low vision. False fMRI activation after motion correction. Potential von fMRT für die Funktionsüberprüfung des pathologischen Sehsystems. Kontrastsehen ­ Definitionen, Umrechnungen und Äquivalenztabelle. Feasibility study: 7 T MRI in giant cell arteritis. Absence of direction-specific cross-modal visual-auditory adaptation in motion-onset ERPs. Visual pathways in humans with ephrin-B1 deficiency associated with the cranio-fronto-nasal syndrome. Quantitative assessment of visual cortex function with fMRI at 7 Tesla -- test-retest variability. Cerebral asymmetry of fMRI-BOLD responses to visual stimulation. Enlarged blind spot - optic neuritis? Visual memory for objects following foveal vision loss. Structural gray matter abnormalities in migraine relate to headache lateralization, but not aura. Impact of chiasma opticum malformations on the organisation of the human ventral visual cortex. Changes in brain morphology in albinism reflect reduced visual acuity. Case Report: Practicability of functionally based tractography of the optic radiation during presurgical epilepsy work up. Interhemispheric differences of fMRI responses to visual stimuli in patients with side-fixed migraine aura. Differential effects of head-mounted displays on visual performance. Contextual cueing impairment in patients with age-related macular degeneration. Direction-specific adaptation of motion-onset auditory evoked potentials. Differential effects of optic media opacities on mfERGs and mfVEPs. Cortical plasticity in the face of altered input to V1. Plasticity and stability of the visual system in human achiasma. Effect of blue-light filtering on multifocal visual-evoked potentials. Optic nerve projections in patients with primary ciliary dyskinesia. Retinotope Kartierung des menschlichen visuellen Kortex mit funktioneller Magnetresonanztomographie - Grundlagen, aktuelle Entwicklungen & Perspektiven für die Ophthalmologie. Self-organisation in the human visual system - visuo-motor processing with congenitally abnormal V1 input. Minor effect of blue-light filtering on multifocal electroretinograms. Motion-onset auditory evoked potentials critically depend on history. Visuo-motor integration in humans: Cortical patterns of response lateralisation and functional connectivity. Retinotopic mapping of the human visual cortex at a magnetic field strength of 7 Tesla. Update on the pattern-electroretinogram in glaucoma. Multifocal visual evoked potentials reveal normal optic nerve projections in human carriers of oculocutaneous albinism type 1a. Slow pattern-reversal stimulation facilitates the assessment of retinal function with multifocal recordings. Identifying human albinism: a comparison of VEP and fMRI. Abnormale Repräsentationen im visuellen Kortex von Albinismus-Patienten - Hilfsmittel bei der Diagnostik und Modell der kortikalen Selbstorganisation. Perceptual relevance of abnormal visual field representations - static visual field perimetry in human albinism. Pigmentation predicts the shift in the line of decussation in humans with albinism. Assessment of cortical visual field representations with multifocal VEPs in control subjects, patients with albinism, and female carriers of ocular albinism. Retinal abnormalities in human albinism translate into a reduction of grey matter in occipital cortex. Misrouting of the optic nerves in albinism: Estimation of the extent with visual evoked potentials. Simulated nystagmus suppresses pattern-reversal more strongly than pattern-onset multifocal VEPs. The influence of defocus on the multifocal visual evoked potentials (mfVEP). 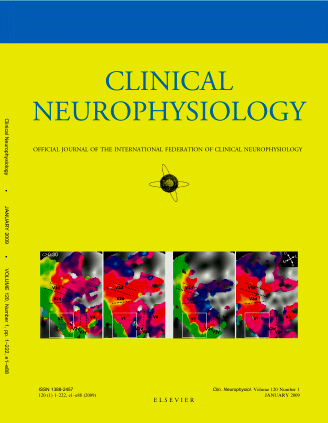 Simulated nystagmus suppresses pattern-reversal VEPs but not pattern-onset VEPs. Electrophysiological evidence for independent speed channels in human motion processing. The role of spared calcarine cortex and lateral occipital cortex in the responses of human hemianopes to visual motion. Organisation of the visual cortex in human albinism. Pattern-onset stimulation boosts central multifocal VEP responses. The distinction of eye and object motion is reflected by the motion-onset VEP. Abnormal visual projection in a human albino studied with fMRI and VEP. Directional tuning of human motion adaptation as reflected by the motion VEP. Abnormal retinotopic representations in human visual cortex revealed by fMRI. Visual motion detection in man is governed by non-retinal mechanisms. Time course of motion adaptation: Motion-onset visual evoked potentials and subjective estimates. Melatonin and deprivation myopia in chickens. Measuring Hidden Electrical Sources In The Human Retina. Sehnerven auf Abwegen auch ohne Albinismus? Interaktion von Pathophysiologie und Plastizität im menschlichen Sehsystem. Cerebrales Neuroimaging: Wo stehen wir jetzt und wohin geht der Weg? Neuronal plasticity in human visual system pathologies. Forschungsprojekt der Universitätsaugenklinik Magdeburg zum Sehen bei Menschen mit PCS/KS. Investigating visual function with multifocal visual evoked potentials. Lorenz B, Borruat,F-X (eds); Springer Berlin-Heidelberg-NewYork. Untersuchungen zur Organisation des visuellen Systems des Menschen unter besonderer Berücksichtigung der Sehbahnabnormalität bei Albinismus. The Origin of the Pattern Electroretinogram (PERG). Albinismus - Sehnerven auf Abwegen. Untersuchung des menschlichen Bewegungssehens mit dem EEG: Unterscheidung von Augen- und Objektbewegung. Untersuchungen zur Rolle von Melatonin bei der Deprivationsmyopie des Haushuhns (Gallus domesticus). von dem Hagen EAH, Houston GC, Hoffmann MB, Morland AB. (2004) Structural changes in occipital lobe in humans with albinism detected by voxel-based morphometry. Society for Neuroscience Abstracts. van der Smagt MJ, Heinrich SP, Bach M, Hoffmann MB (2004) Electrophysiological evidence for independent speed channels in human motion processing. Perception, 33, 38a (suppl). Bach M, Unsoeld A, Hoffmann M (1999) Das Bewegungs-ERG/VEP: Echte Bewegungsantwort? Proceedings of the 97th meeting of the meeting of the Deutsche Ophthalmologische Gesellschaft.